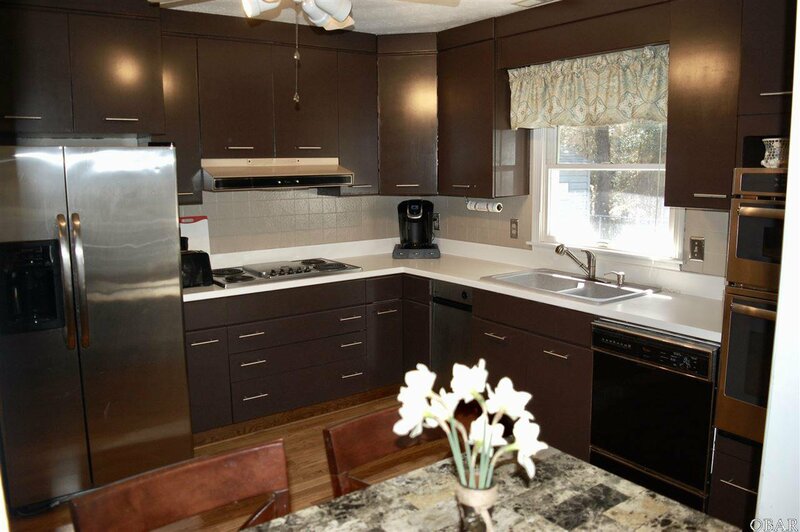 Exceptionally well maintained ranch with many updates! 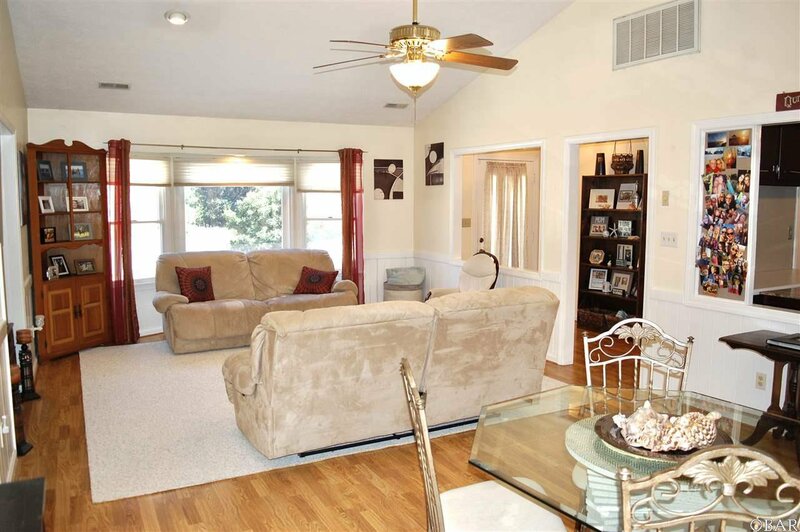 Plenty of light pours into this open floor plan with spacious great room, kitchen and dining area. 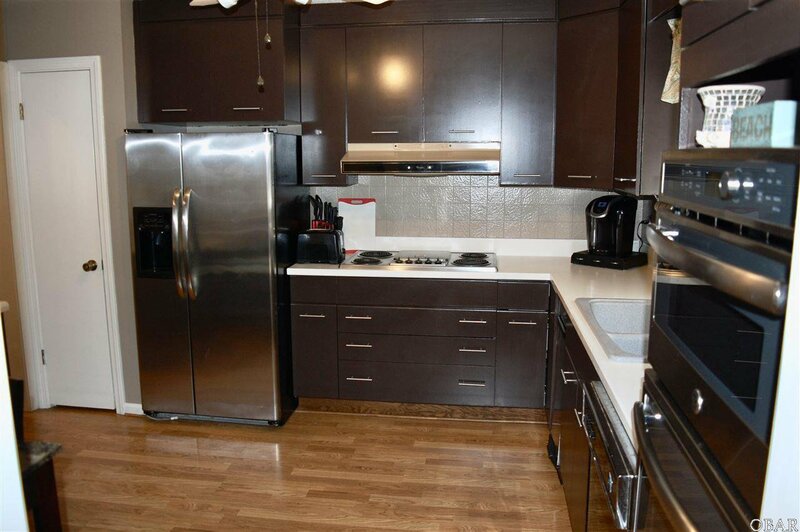 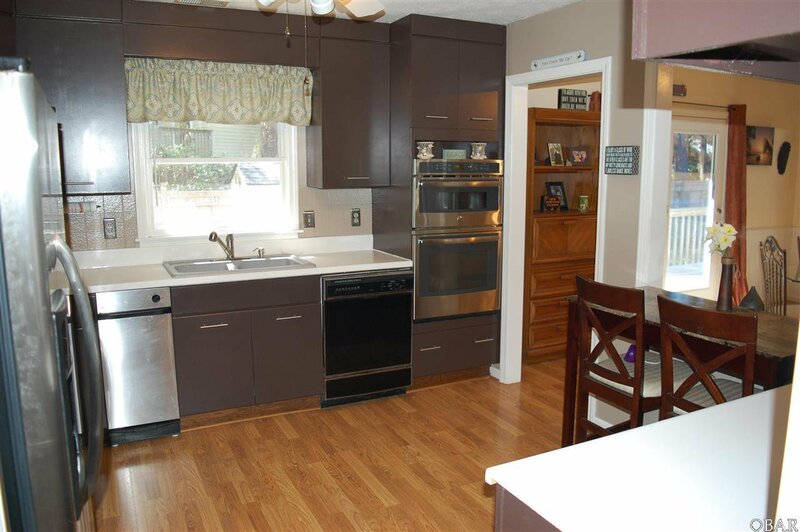 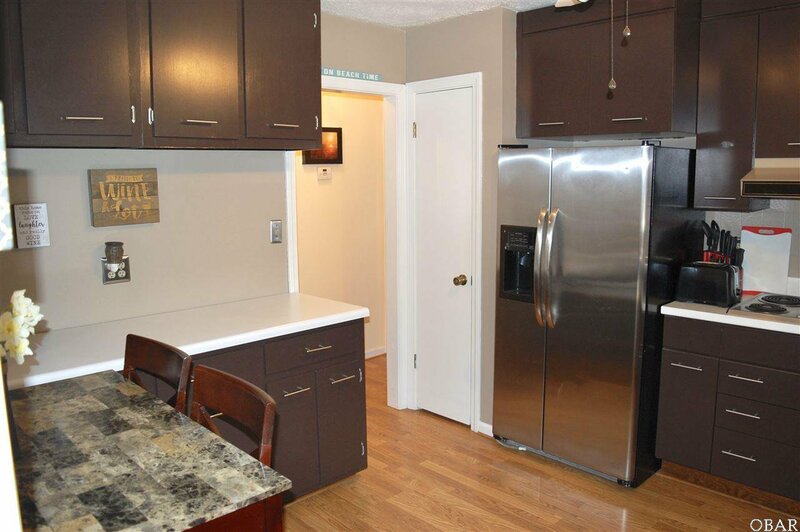 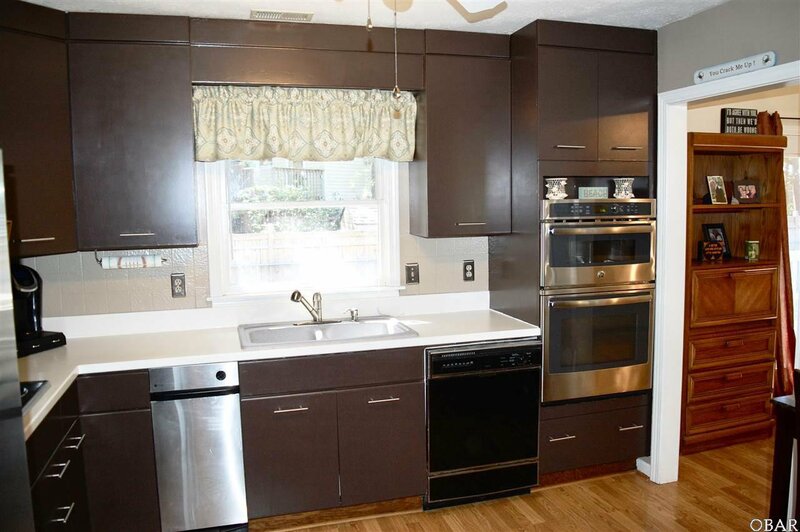 The kitchen boasts stainless refrigerator, trash compactor and newer stainless wall oven/microwave. 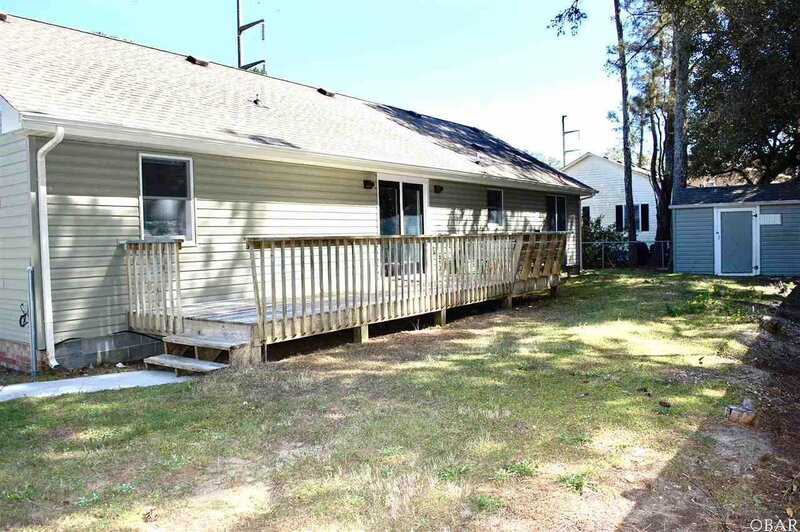 Backyard with shed and partially fenced yard could easily be completed. 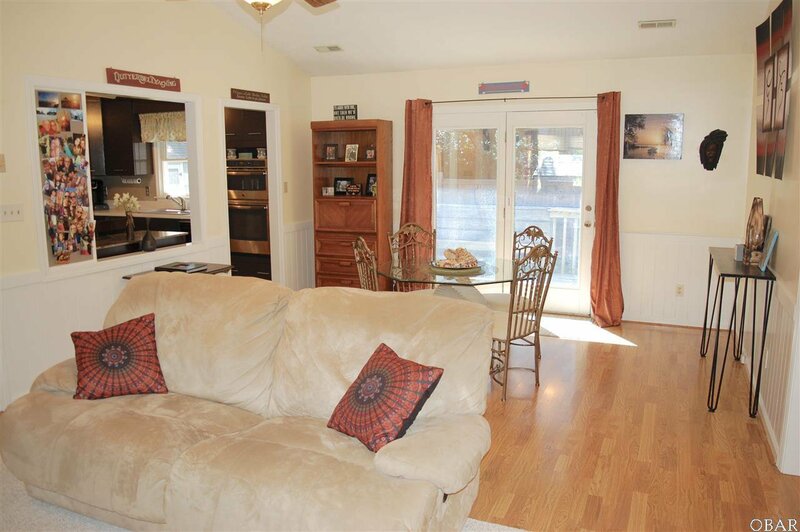 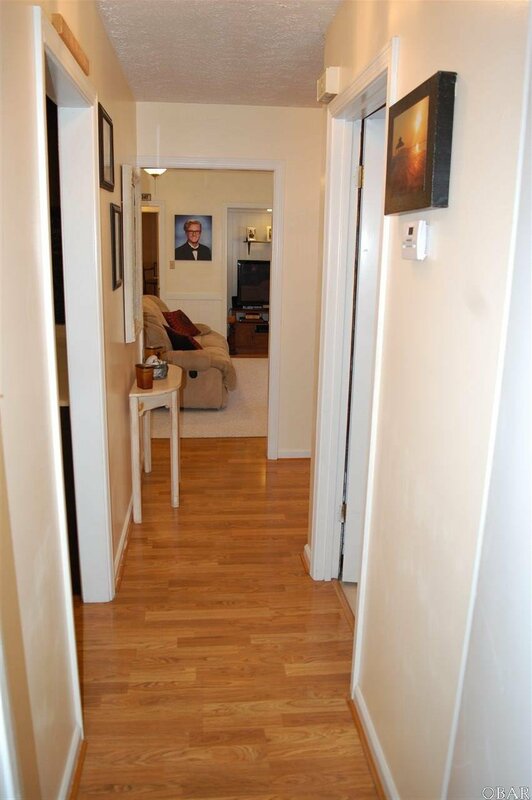 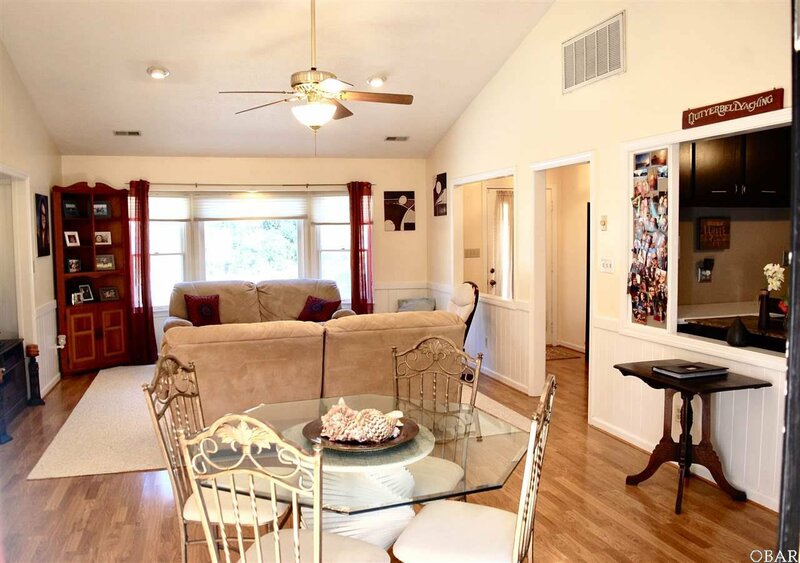 Split living with master suite on one side and two bedrooms and full bath on the other. 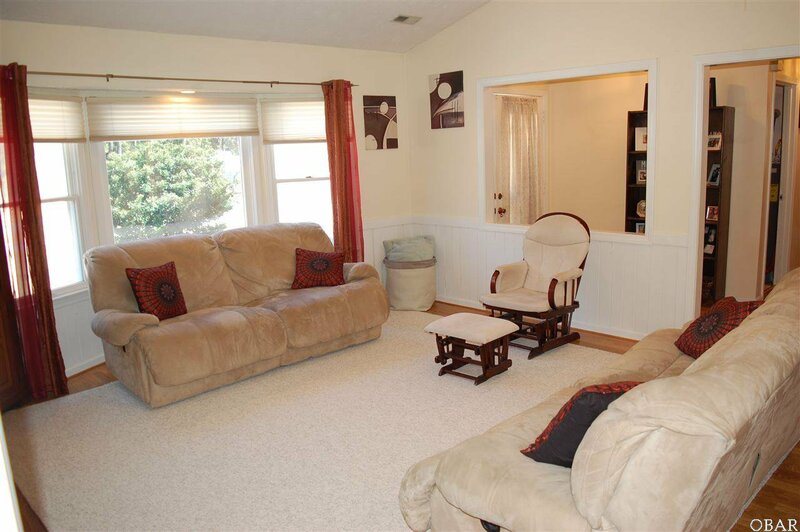 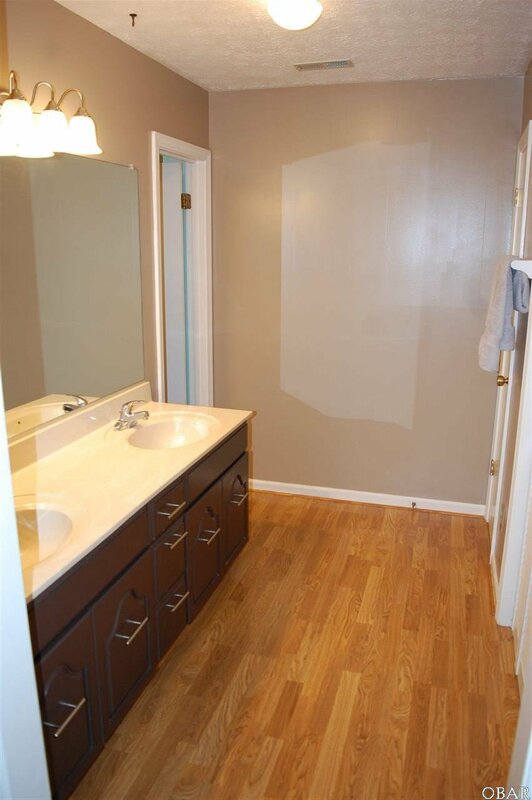 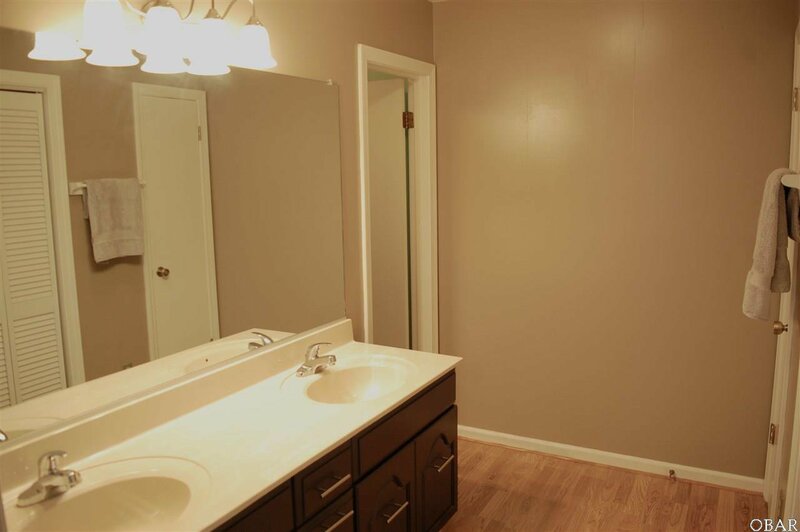 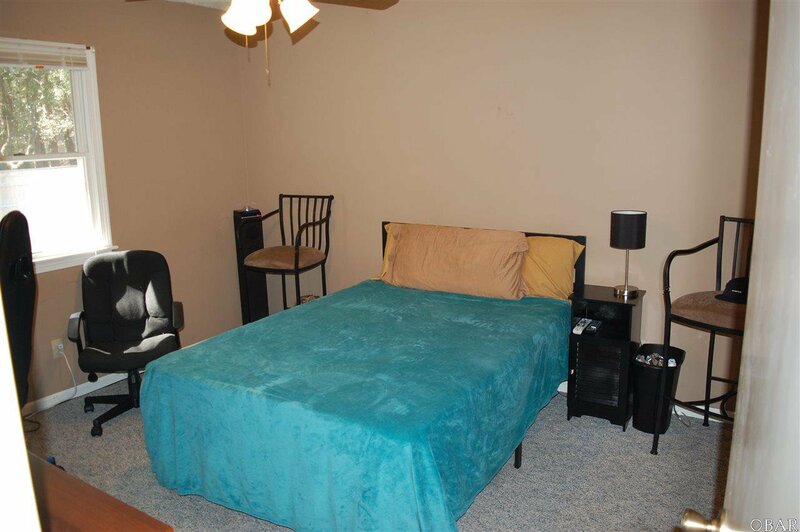 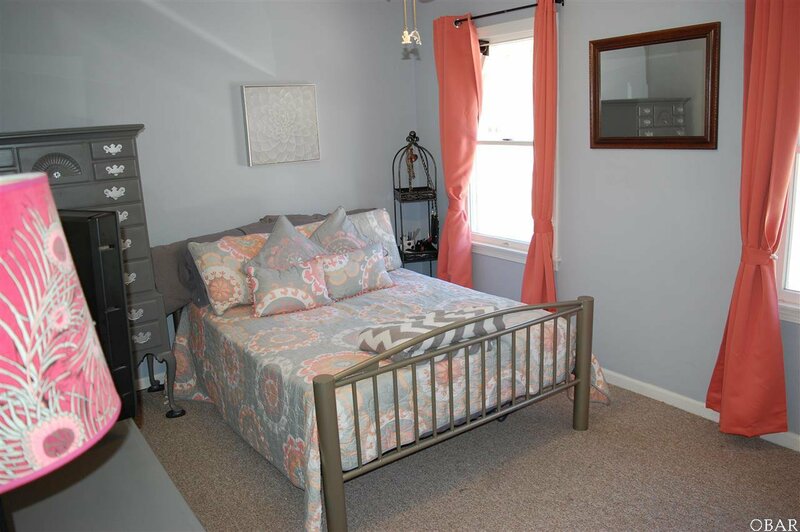 Large master suite features 2 large closets and a spacious private bath with double sink. 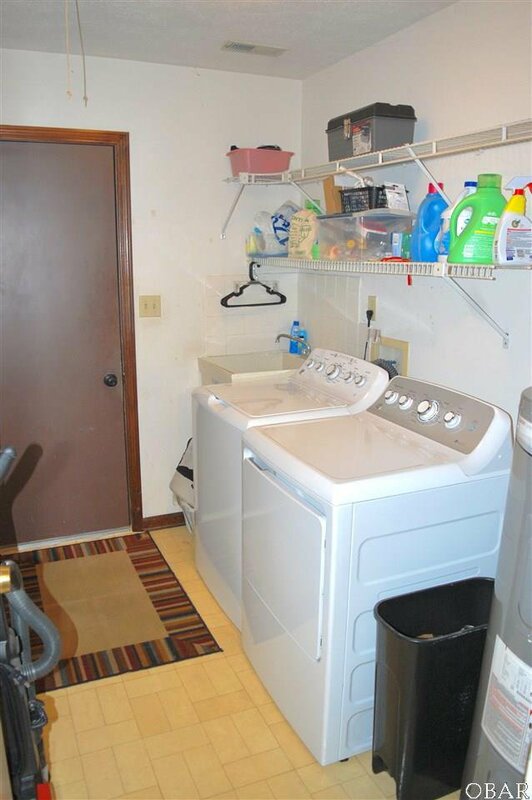 Large laundry room and big garage with built in storage shelving. 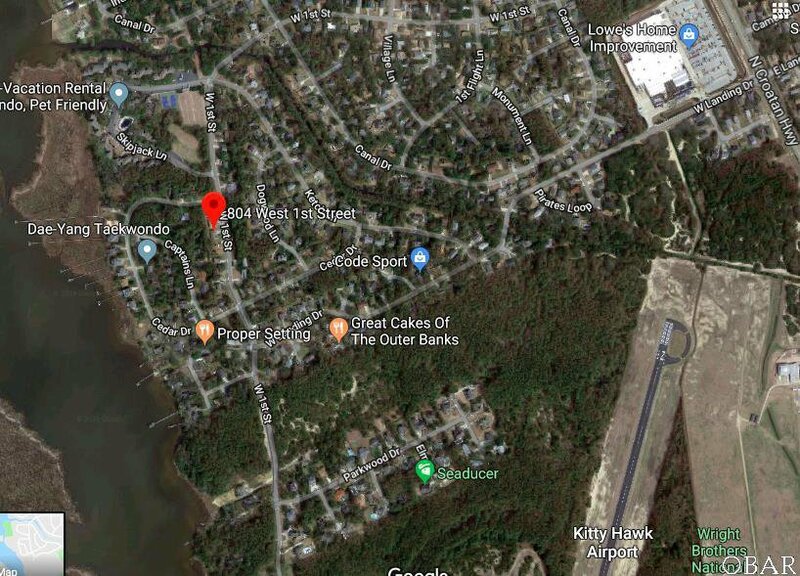 Step out front and enjoy bike paths that take you south to the Wright Memorial or north to Bay Drive. 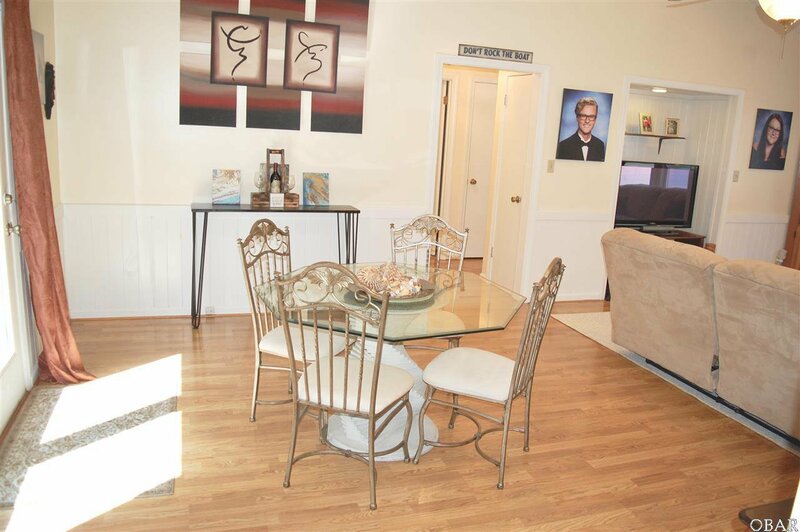 Shopping, restaurants, entertainment and public beach accesses close by. 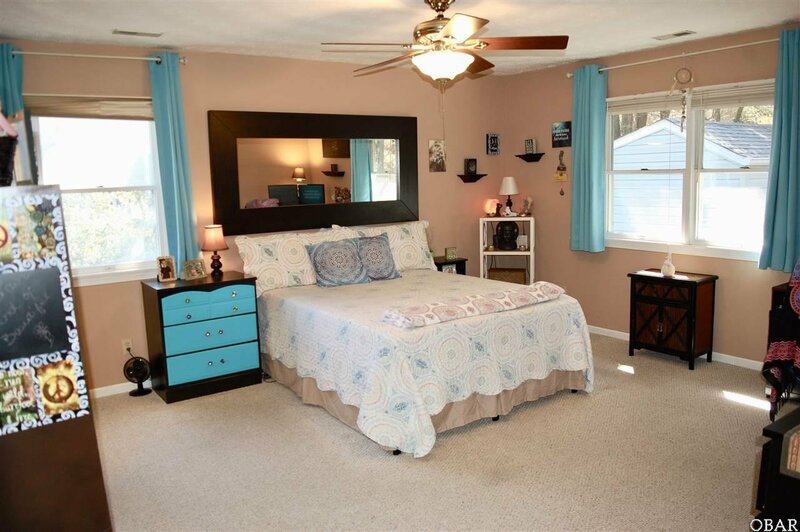 This is a must see in popular Kill Devil Hills neighborhood. 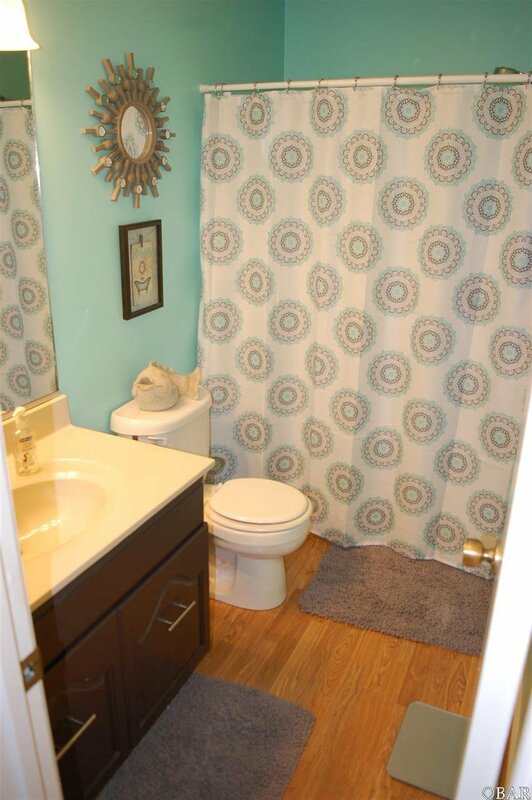 2013 New Septic drainfield, 2015 New Oven/Microwave, 2018 New Hot Water Heater and New Garage Door.